Italy-based cryptocurrency exchange BitGrail has announced the launch of a cryptocurrency called BGS tokens. Don’t get too excited: BGS tokens are designed with one specific purpose. They’re built to reimburse users who suffered losses after the infamous BitGrail Nano hack earlier this year. Back in February, BitGrail reported that hackers had disappeared with nearly $200 million of Nano (XRB) tokens. The exchange has promised customers an update on the stolen funds. 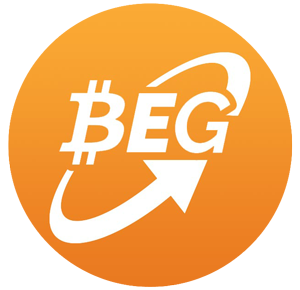 Instead of planning to reimburse customers in cash, the exchange will issue BGS tokens to anyone who suffered losses. BitGrail founder Francesco Firano – known under the pseudonym “The Bomber” online – posted a statement on Twitter. Prior to that statement, it was unclear if the exchange would stay online. The Bomber clarified the news in a tweet, stating that the hacked exchange will remain functional, and that BitGrail will compensate users for the stolen XRB – at least partially. Interestingly, BitGrail still refuses to accept responsibility for the breach. Instead, BitGrail is blaming “faults” in Nano’s software. There’s an ongoing investigation into the attack, although the statement revealed few details about that investigation. Despite that statement, BitGrail still plans to issue partial refunds to affected customers, including a 20% refund in XRB tokens and an 80% refund in BGS tokens. How Do BitGrail BGS Tokens Work? BitGrail is creating a native token called the BGS token. That token will be used to establish a cash fund “dedicated to the users damaged by the theft” of Nano tokens. In terms of compensation, Nano investors who lost money during the hack will immediately receive 20% of their lost XRB coins. This total will be delivered directly to their Bitgrail account. The remaining 80%, meanwhile, will appear in their account as BGS tokens. Affected users should already see that 20% of stolen funds have been credited to their accounts. The remaining tokens, meanwhile, will be seen as BitGrail Shares (BGS) tokens. In other words, BitGrail is providing a 20% refund in XRB and an 80% refund in BGS tokens. Why do BGS tokens have any value? Well, BitGrail plans to purchase BGS tokens from users at a fixed rate of $10.50. To finance that buyback program, BitGrail will use 50% of all trading fee revenue to reacquire tokens at that fixed rate. BitGrail has not issued a timeline explaining how long the process will take. There is a catch to this refund. BGS token refunds will be credited exclusively to users who accept BitGrail’s settlement agreement. By agreeing to that document, you’re signing away your rights for future legal action. That means you have no legal recourse if BitGrail fails to honor its refund promises. In other words, you can either accept the BGS token refund deal – or BitGrail will shut down your account. Another “catch” is that the BGS token doesn’t exactly have value or liquidity outside the platform: there’s no way to deposit or withdraw the BGS token. It’s exclusively available for trading on BitGrail. The tokens only have value because of BitGrail’s promise to repurchase tokens at that specific exchange rate. One final catch is that the buyback program only works if users continue trading on BitGrail after the hack: it hinges on the assumption that users will trust the exchange enough to begin trading in high volumes again. High volume trading will generate the profits needed to repurchase tokens. This is especially worrying because BitGrail used to be one of the few places to purchase XRB – now, major exchanges like Binance have added Nano (XRB) to their platform. Why would users return? After the $200 million hack, BitGrail considered closing their exchange completely. Now, thanks to the latest update from BitGrail’s founder, we know that the exchange is staying operational. The only question is whether or not users decide to come back. If users don’t decide to come back and trade on the platform, then BGS tokens will have no value, because the buyback program is fueled by cash generated from 50% of trading fees. Stay tuned for more information about BitGrail’s BGS token and the ongoing fallout from the Nano attack. Next ReviewPhotochain PHT ICO: Photography Blockchain Marketplace DApp?